Proportional Valve - Ningbo Haihong Hydraulics Co., Ltd.
Ningbo Haihong Hydraulics Co., Ltd. Proportional Control Valves are controlled by electronic Amplifier control boards, and are commonly called electro-hydraulics. These Proportional Valves control direction and the amount of fluid flow or can control the amount of pressure within a system. Electro-hydraulic controls are especially useful in situations where system speed must be tightly controlled, or where ramping up and down is needed to avoid sudden starts or stops. Electro-hydraulics also provides precise control in applications where hydraulic pressure must be built up steadily. 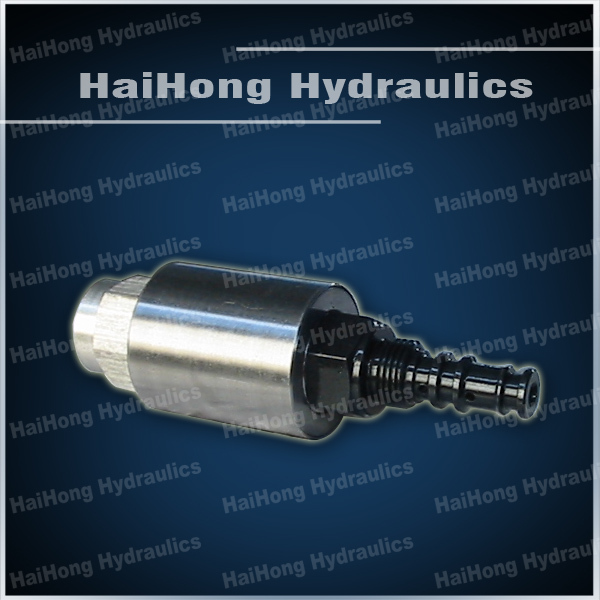 Haihong Hydraulics has work in the field of screw-in cartridge proportional valves recently, right now have pressure proportional valve available, more models are under design and test.